Steward of Savings : FREE Agadir Men Body Wash, Beard Oil & Firm Hold Gel Sample Pack! FREE Agadir Men Body Wash, Beard Oil & Firm Hold Gel Sample Pack! 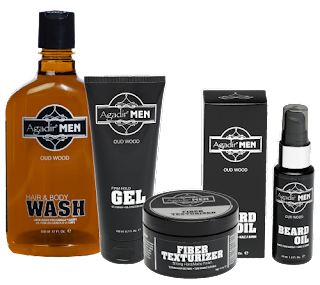 Snag a FREE Agadir Men Body Wash, Beard Oil and Firm Hold Gel Sample Pack for a limited time, just add Agadir sample pack o your cart, then checkout! Expect your freebie in 4-6 weeks!